Considering New Patio Doors for your Toronto Home? We can help! Replacement windows are not the only thing that can help reduce your Toronto home’s energy use and heating costs. It’s important to remember another opening in your home, that’s twice as large as a window: your front door. Your entry door can potentially allow much more of your home’s energy to escape. Want to find out how much energy loss can occur from your entry doors? First, count the number of entry doors your home has. Most have three or more. Now multiply the number of entry doors you have by two. That number is about the same energy loss area that you have in your windows! If your home still has its original entry doors, most likely they are far from energy efficient. Metal doors with a hollow core easily allow thermal transfer to occur. (This is when warm air exits and cold air enters a home, or visa-versa.) Either way, it’s not a characteristic you want for your Toronto home, so when you are looking for entry doors, you want to ensure that you choose the most energy efficient options out there. 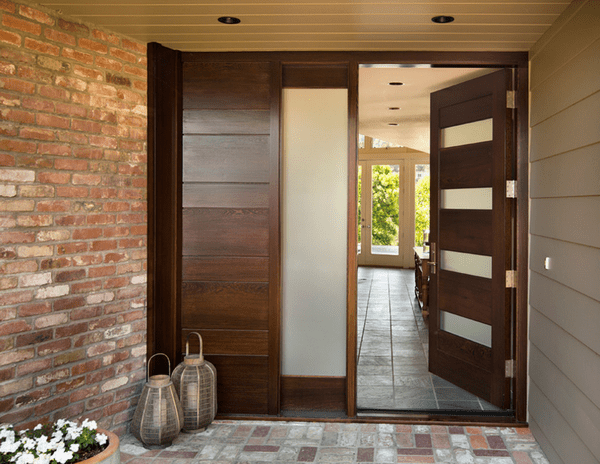 What makes entry doors by Brock Doors and Windows energy efficient? Multiple glass panes – Double or even triple pane insulated glass is used to reduce the heat flow. Tighter fit and improved weather stripping may include a magnetic strip which creates a tighter seal to reduce air leakage around the edges. Improved materials – Vinyl is one of the most energy efficient door materials available on today’s market Vinyl is low maintenance and resistant to moisture, and you never have to worry about it rotting, shrinking or warping. Vinyl withstands all kinds of weather conditions and offers better insulation than wood. Brock Doors and Windows use all the latest technology to make excellent entry doors. For one thing, they have superb insulation which provides a reliable thermal barrier between the weather and your Toronto house. Secondly, our doors have advanced seals all along the jamb of the door which keeps drafts from entering. 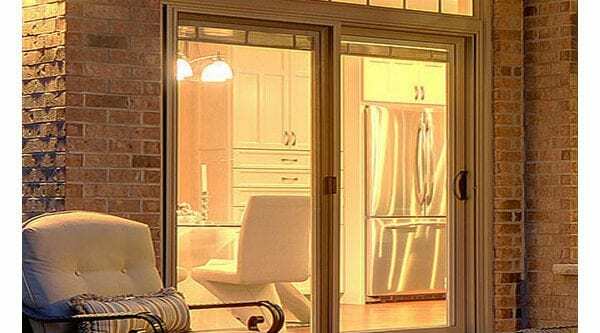 All our doors come with the option of Low-E glass technology, which provide fantastic thermal performance. Our Dorplex entry doors allow light to shine in while maintaining your privacy. The caming can be matched to your door’s hardware, outside fixtures or even the interior décor. We offer a big variety of textured glass, and each is rated 1-10 for privacy. This allows you to customize the level of obscurity or clarity you desire. Set apart by simplicity and modern lines, Novatech doors provide your home with a contemporary, clean look. Brock’s Verre Select line is one of our most commonly sold brands. It features highly customized entry doors, which have lovely moldings and panels. This ensures that your entryway has a very elegant appearance. When you want to upgrade your home’s energy efficiency, don’t overlook your front door. The largest openings in your house also have the potential to provide some of the biggest energy savings.